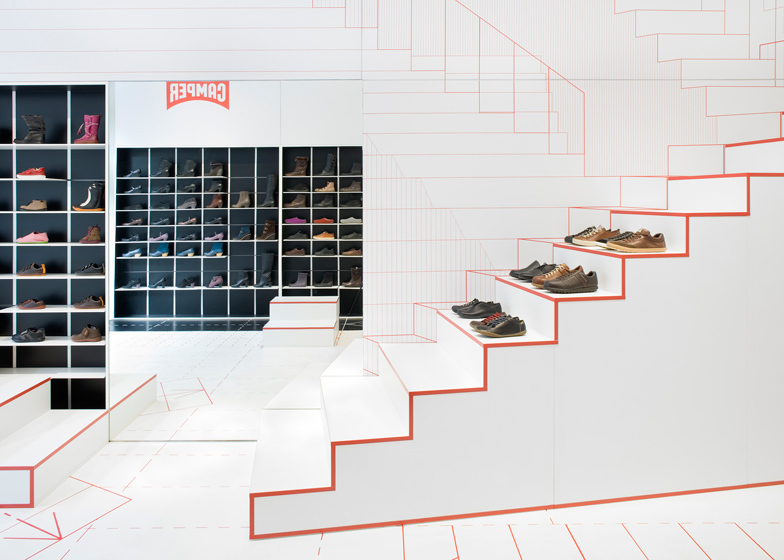 Interview: we caught up with Miguel Fluxá, head of shoe brand Camper, at the opening of the brand's Nendo-designed boutique on Fifth Avenue in New York last month (below). 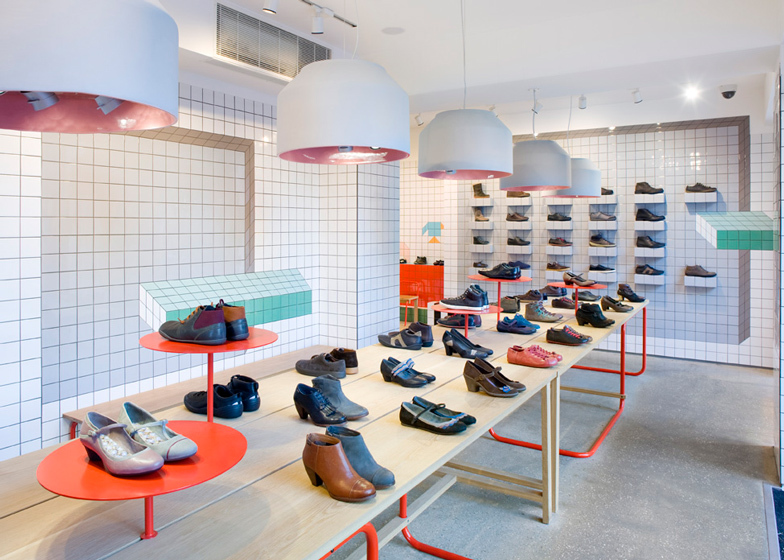 In this short interview, he explains why the company uses different designers for each of its global stores for cultural, rather than business, reasons (+ slideshow). 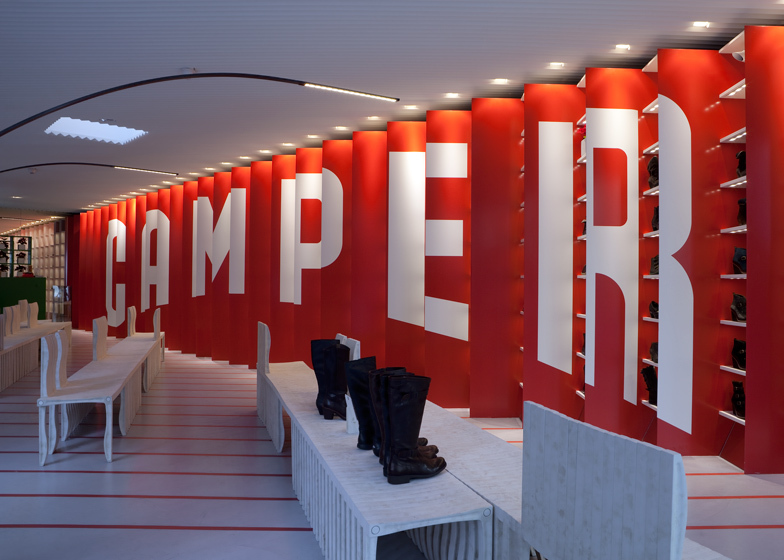 Designers as diverse as Jaime Hayón and Shigeru Ban have designed stores for Camper. "The world today is becoming a little bit boring, everything is becoming the same," says Fluxá. "So we thought it was interesting for the brand, and for the cities, to do different designs from one place to the other." 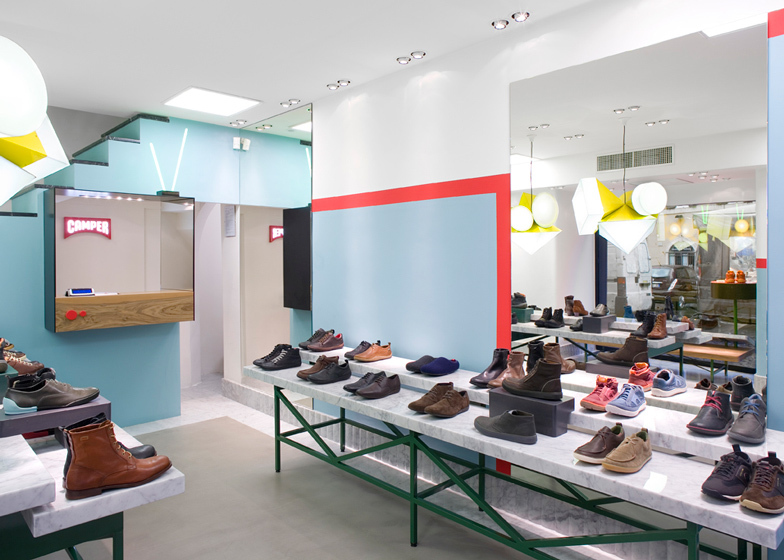 As a family-owned company, Camper is able to experiment with different design approaches without worrying too much about the commercial impact, he says: "Some concepts work better than others but we don't measure it really." Marcus Fairs: Tell us about yourself. Miguel Fluxá: My name is Miguel Fluxá. 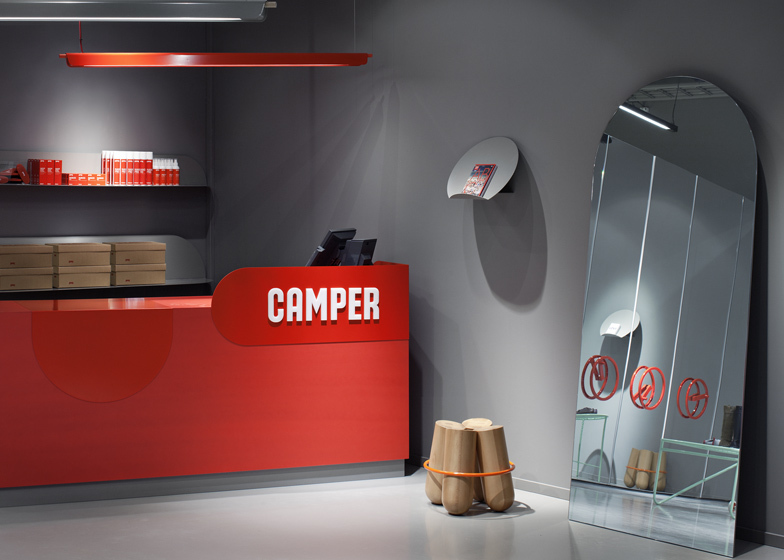 I work at Camper and I'm a member of the fourth generation of the company. My great grandfather founded the business 136 years ago and I'm from Mallorca, where Camper is from and where my family comes from. This week we're in New York, at the store opening on Fifth Avenue that we just did with Nendo. Marcus Fairs: How did Camper start? Miguel Fluxá: The story started in 1877 when my great grandfather founded the first shoe factory in Spain, 136 years ago. He had the idea to make good-quality shoes. He was a farmer and he probably didn't speak any English and he probably didn't have any money, but he went abroad, to France and England, and he came back after a couple of years with the machinery to set up a shoe factory. 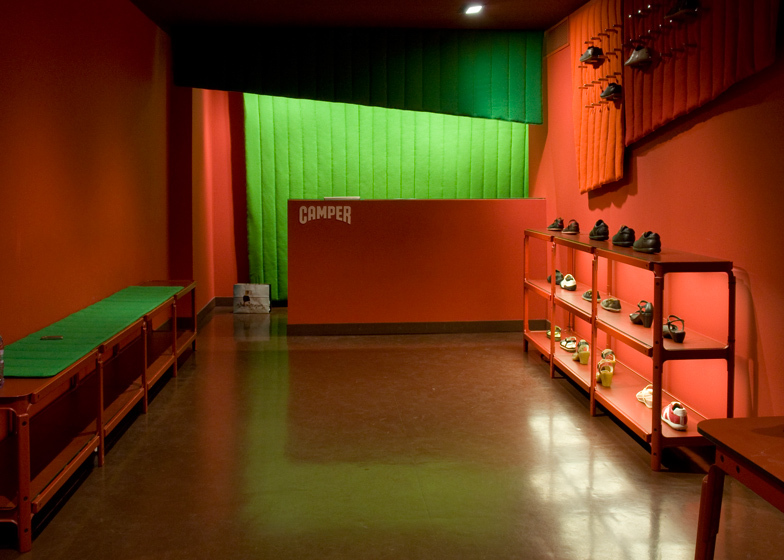 Then after many years, in 1975 my father joined the family business and created Camper as a brand and he incorporated this heritage of knowing how to make quality shoes with design and comfort. He tried to make well-designed shoes that you can wear every day. This is the basis of the product today. To that we added some cultural values. We come from Mallorca, from the Mediterranean, there's a slow way of life there. Camper means farmer in Mallorquin, which is the language we speak in Mallorca, and when you mix all these ingredients together, you get Camper. I think the success has probably been trying to make something different, something original with quality. 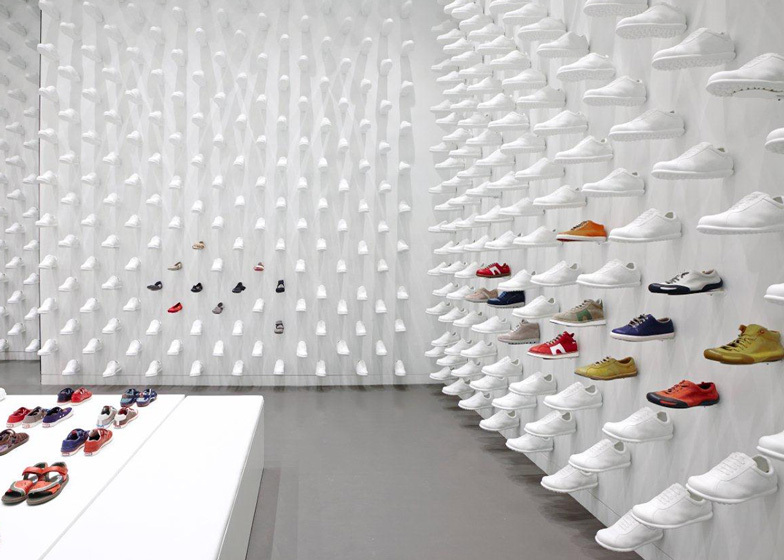 Marcus Fairs: Camper uses different designers to create different store interiors around the world. Why did you start doing this? Miguel Fluxá: When we started to open stores outside Spain we thought it was interesting not to repeat them. The world today is becoming a little bit boring, everything is becoming the same. So we thought it was interesting for the brand, and for the cities, to do different designs from one place to the other. We started to do this many years ago and it's something that has given us a lot of identity and has worked quite well over the years. We've worked with many people, from Martí Guixé, a Spanish designer, who has a sense of humour and irony, to Mariscal, who's also Spanish, to the Bouroullec Brothers, the Campana Brothers, Alfredo Haberli, some Japanese designers - Nendo and Tokujin Yoshioka, Shigeru Ban who's an architect, because we also work with architects, Jasper Morrison, Konstantin Grcic, a lot of people actually. Marcus Fairs: Do you do this for cultural or commercial reasons? Miguel Fluxá: It's more a cultural thing. We're lucky to be a privately-owned company, a family-owned company, so we look at the long term and we try to do things that we like to do. Of course we think it's of benefit to the brand. It's given a lot of identity to the brand, and customers recognise it. 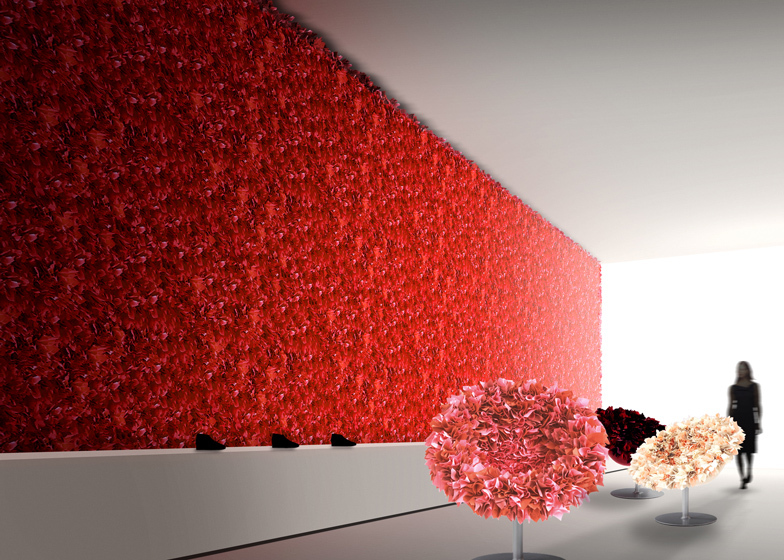 Marcus Fairs: Do you measure the commercial impact of the interiors? Miguel Fluxá: Some concepts work better than others but we don't measure it really. Marcus Fairs: Footwear, especially sports footwear, is getting really technological with high-tech materials and embedded technology. Is this a path Camper may follow? Miguel Fluxá: We are interested. For sure we are interested. The DNA of the brand is more in natural leathers, European leathers, and this is our heritage. We are shoemakers, we're not a sports brand. But it's true there are more and more techniques, more and more materials. For example in the outsoles there is a lot of development in the lightness of the materials, and also in the uppers. Marcus Fairs: What's your opinion of New York? Miguel Fluxá: Personally I love New York. I spent six months here when I was young. For me it's probably the capital of the world. A lot of things happen here. A lot of good culture, architecture, museums, food, everything. It's good to come here from time to time especially if you come from an island, which is completely the opposite. Marcus Fairs: Do Americans appreciate design in the same way Europeans do? Miguel Fluxá: In America they do have a good tradition of architecture and design. It's true that it was probably more in the forties, fifties and sixties than today. But I think there are people who appreciate design, European design. Our design is more European, more refined and more casual, but there are a lot of people here who appreciate it.